This phone outdoes Apple on the whole getting-rid-of-ports thing. In its quest for minimalist perfectionism, Apple loves shaving ports off its products wherever possible. 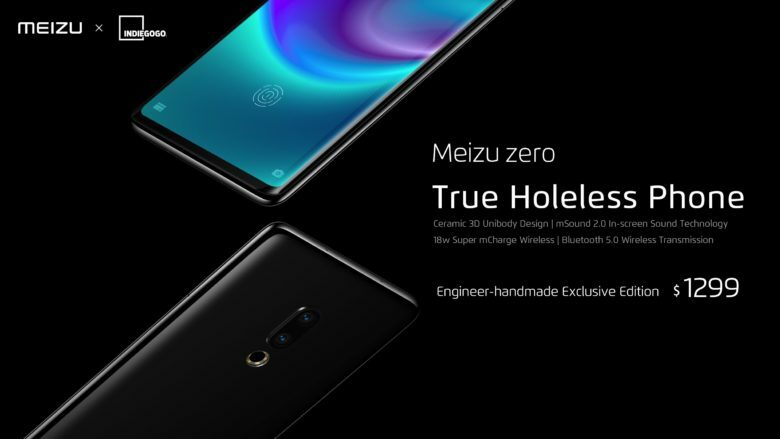 But even it has stopped short of creating a phone like the Meizu Zero. Promising no buttons, no speaker holes, no Sim card slot, and no charging port, this sleek Chinese Android phone looked like a concept phone or, uncharitably, an early April Fool’s joke when it first popped up online last month. Well, it seems that that’s not the case at all — since pre-orders have just gone live on Indiegogo. Be warned: It’s not cheap.